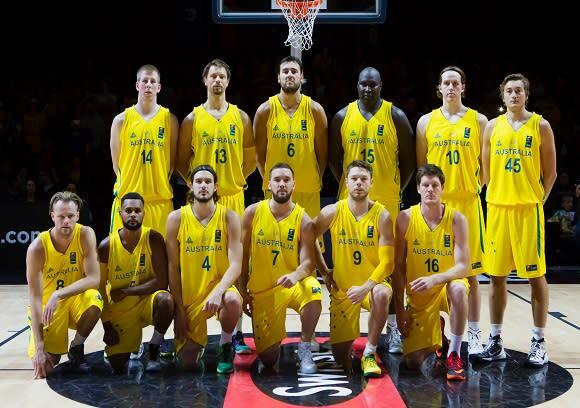 Basketball Australia have announced a 26-man team for the upcoming Rio Olympics. The expanded roster features players from across the globe, with a healthy amount of NBA talent including stars Patty Mills, Matthew Dellavedova and Andrew Bogut, alongside veteran David Andersen from the French league, players from across Euro leagues including Spain, Russia and Montenegro, and of course ballers from the NBL. The team will be finalised during Boomers camp from July 5-10, which will run between the NBA season finishing in June, and the Olympics beginning in August. We have previously floated the idea of Australia contesting a gold medal at the 2020 Olympic Games. How far do you think the Boomers can take it in 2016?